It was my sisters birthday a week ago and instead of buying her a gift she asked me if I would make her some lilac bunting for her garden. So here it is all made and ready to go. Just as I was making it, in wandered Lily "Oooo mummy I like that! Could you please make me some for my playhouse?" Just when I thought I had nearly finished. O well looks like I'm going to be busy! I bought this pattern early last year and thought I could get it done for Halloween last year haahaa! I have made a concerted effort to get it started this year. The outer blocks are well on there way to being done but its a juggling act as I really want to get on with my Celebrating Freedom quilt. I need a timetable I think! 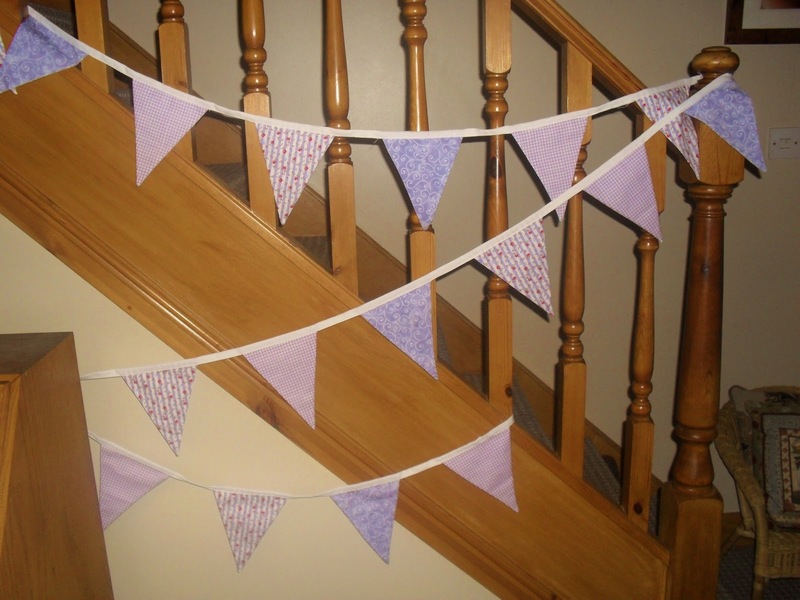 Very nice bunting, and what a great idea for a birthday pressie! Oh the bunting is so pretty, I keep meaning to make some.